We know campus can get crowded and sometimes it’s hard to find a good place to study. Each week the Veterans Resource Center has your back! Come study in our quiet, safe environment where you can get your work done efficiently and successfully. 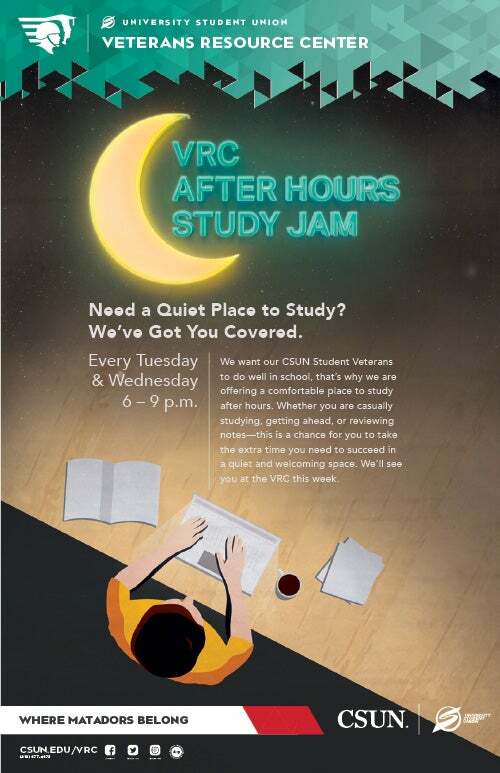 Student success is our priority, so come to the VRC for an after hours study session! 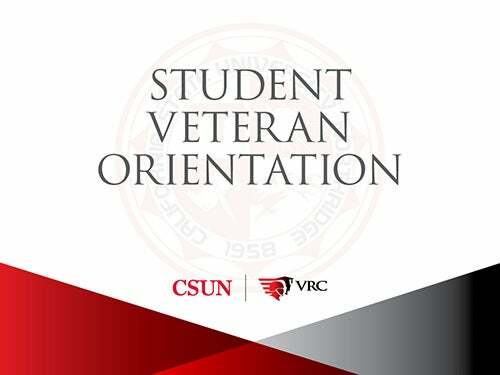 Whether you’re a new undergrad, graduate or transfer student, the VRC’s Student Veteran Orientation will welcome you to CSUN and help begin your ongoing transition from military service to academic success. It’s the best way to get a jump-start on your campus life before starting the semester. Each spring semester this important event honors the achievements of all Student Veteran Matadors who have graduated in the past year. Each graduate will be recognized in front of peers, friends and family members during a memorable evening including dinner, awards, guest speakers and much more. It’s an evening dedicated to making your graduation even more special. 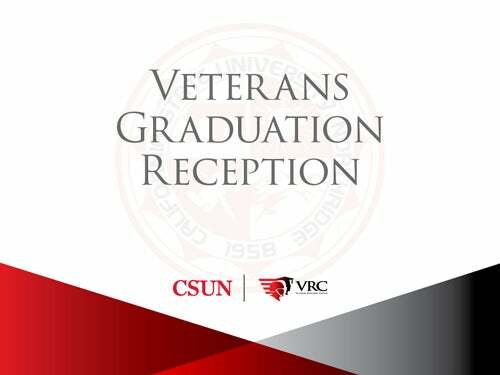 This is a special opportunity for Student Veteran Matadors to enhance your academic performance at CSUN by becoming more informed about what you need to do to graduate on time. This event includes dinner and your participation in a round table discussion with CSUN academic advisors. To view scholarship opportunities available at CSUN, please visit the CSUN Financial Aid scholarships page.